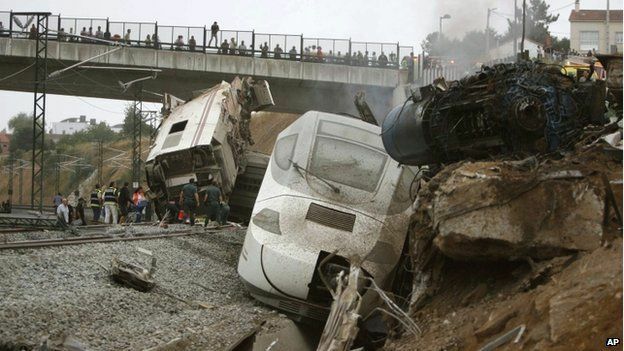 A train derailment in Spain kills at least 77 of its 218 passengers, while leaving more than 100 injured in the Galicia region. Railway firm Renfe said the train came off the tracks on a bend about 3 or 4km (2-2.5 miles) from Santiago de Compostela station at 20:41 local time (18:41 GMT). A survivor said after the accident that the train was travelling rather fast while negotiating a bend. Media reports say the train may have been travelling at more than twice the speed limit around a curve.